Clive Ponting was asked to head the MoD department dealing with Naval operations, in 1984, and the first thing he came across was a letter from Tam Dalyell with some awkward questions. Michael Heseltine (the Defence Secretary, after Nott resigned early in 1983) asked Ponting to prepare a full account of what took place in the first weekend of May, 1982, and that document then became called the Crown Jewels, because it was too valuable to let any journalist see. 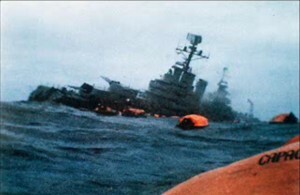 The world was told that the ‘first indications’ which the Government had of the Peruvian Peace Plan only came three hours after the Belgrano sinking: whereas, in later government correspondence the word ‘authoritative’ was introduced: as Clive Ponting explained, this implied that there had been earlier messages sent. Craig Murry: “Believing that the Government was deliberately misleading the House of Commons, a select committee and the public, he blew the whistle and sent two documents to Tam Dalyell MP. The documents were somehow passed to the Chairman of the select committee on Foreign Affairs, who, in turn, gave them back to the Secretary of State at the MoD. 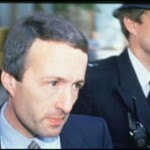 Ponting was then prosecuted for breach of the Official Secrets Act. 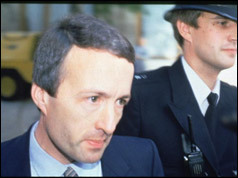 The jury at Clive Ponting’s trial were each given copies of the ‘crown Jewels’ – and in February 1985 agreed that Ponting was innocent, despite the judge’s directives! Despite his acquittal the Civil Service withdrew his security clearance. He also received an official warning not to go ahead with publishing his book The Right to Know.